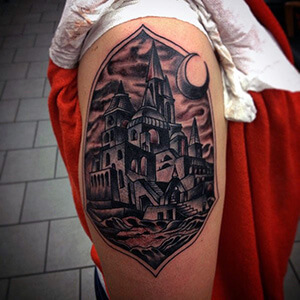 Castle: built to protect nobles and royals from invasions, castle tattoo designs have come to symbolize protection and guarding one’s own principles. 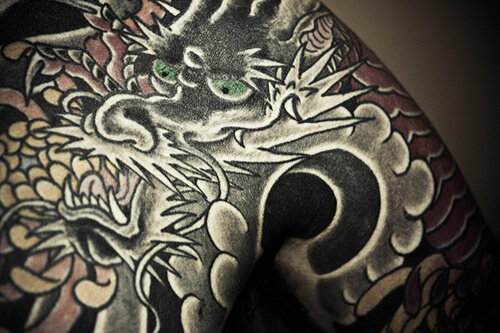 Dragon: as tattoo designs, these mythical creatures represent wisdom, strength, and prosperity. Jester: the medieval equivalent of today’s clown, the jester was typically employed by a monarchs. 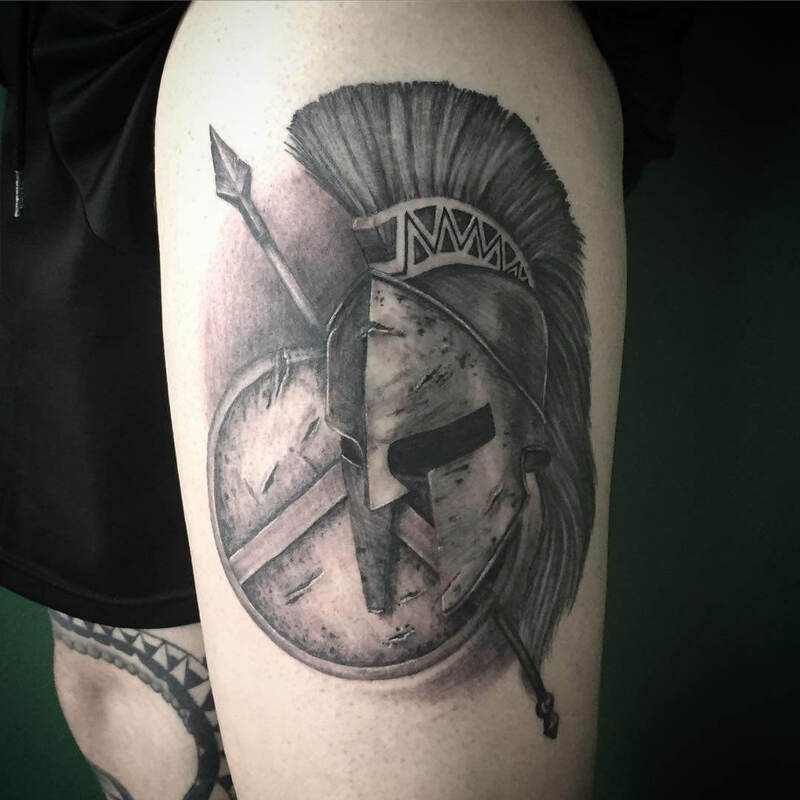 As tattoo designs, they represent quick wit and triumph over obstacles. King Arthur’s Sword: also known as the ‘Excalibur,’ this medieval king’s sword is a symbol of kingship, power, and might. Knight: this armored warrior who worked in service of the king and queen. 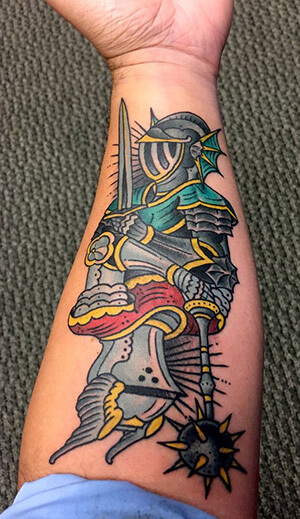 As tattoo designs, knights represent honour, bravery, and passion. 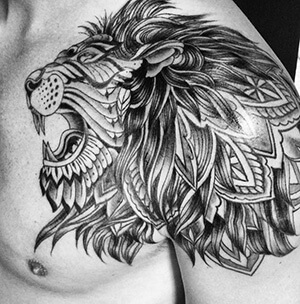 Lion: with its regal stature and leadership qualities, the lion has become a symbol of God in the context of Christianity. 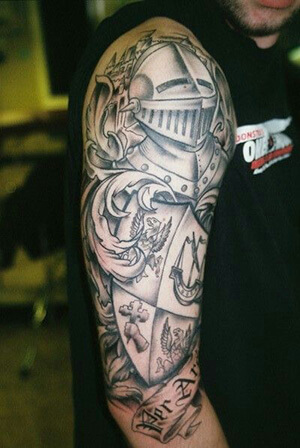 Shield: the Christian warriors held a Crusader shield, representing protection and ‘the right path’ as a tattoo design. 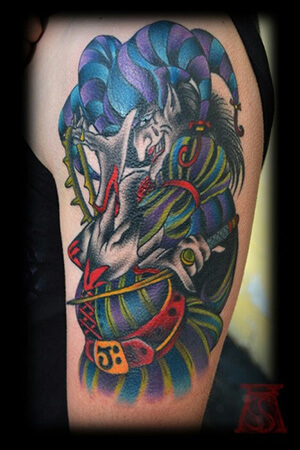 Medieval tattoo designs reflect both elements of lightness and darkness, which is part of the reason for their mass appeal. Although daily life was much different in the middle ages, their symbols continue to resonate with many people today. 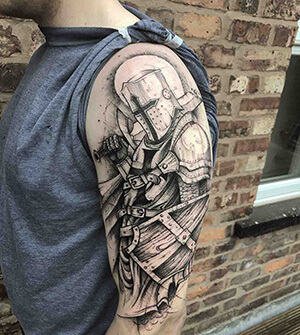 If you know of other significant medieval tattoo designs, let us know about them in the comment section below!